In my eons on the internet, one lesson I have tried to take to heart — not always successfully — is that in the long run, it’s best to stand on the sidelines of the great race to be wrong first. To that end, I’ll just say that I don’t know if the BuzzFeed story alleging that Donald Trump ordered Michael Cohen to lie to Congress, and other nefarious doings, is true. One of the main reporters may or may not be trustworthy. All of the sources are anonymous. The story claims that there are documents supporting the charge, but the reporters may not have seen them, so if the sources are lying about the major facts, why wouldn’t they lie about the corroborating facts as well? As Brit Hume often likes to note, exclusive bombshells don’t stay exclusive for very long. If we go much longer without another news outlet corroborating the story, it’s likely because it can’t be corroborated for a reason. But are the charges believable? But here’s the question: In your heart, do you think it’s believable that the president told Michael Cohen to lie to Congress? I mean, do you really think given his character, history, and temperament that it’s inconceivable that he would do such a thing? I think it’s believable because we already know that the president has no problem with lying and encouraging others to lie about his dealings with Russia (and a few other things). During the campaign and after being sworn in, he categorically denied business dealings — ongoing or potential — with Russia. Before Cohen told Mueller that he had lied to Congress, Trump’s position was unequivocal. After the Cohen testimony and other evidence came to light (including this signed letter by Trump), he didn’t say Cohen made it all up. He said it was no big deal that he looked “lightly” into such a deal. This is a recurring pattern. So yeah, sure, the BuzzFeed story may be wrong in whole or in part, and if it is, BuzzFeed should pay dearly for it. But the fact that the story is so believable is both damning and significant. Think of it this way: If your wife or husband thinks it’s entirely believable that you might be committing adultery, your marriage is in trouble regardless of whether or not you actually are cheating. That it is utterly believable that the president would do such a thing is an indictment of his presidency in and of itself. This same logic applies just as forcefully to the FBI as well. I don’t subscribe to the various Deep State theories being peddled by the praetorians, but it is damning nonetheless that such theories are remotely plausible. So I’m doing something weird here (thank God there’s no video with this “news”letter), but that’s my business. I’m also doing something unusual. I just cut the rest of what was my nearly completed G-File to switch gears entirely. I’ll post the rest of my argument about Trump on the site, and hopefully by the time this thing goes out, there will be a link to put here. I just caught my friend and colleague David French on MSNBC defending Karen Pence and the Christian school she’s going to teach at. I love listening to David defend Christian teachings in the MSM because he manages to be simultaneously unapologetic about his apologetics and wholly decent and un-scolding in the process. Anyway, one of the points David made is right in my wheelhouse: He wants there to be as much freedom as possible for different schools and other institutions to teach their faith. If you’ve read or listened to me rant about federalism and civil society you know how dorkily passionate I am about this topic. And that put me in mind to a question I got from an academic from a religious school last weekend when I was speaking at a conference for AEI’s Values and Capitalism program. After my usual rant about federalism and the importance of civil society, this guy asked me what’s wrong with First Things editor Rusty Reno’s calls for rethinking the Founding and the Enlightenment in pursuit of some new kind of Catholic-informed, New Deal-style project of national solidarity. And that reminded me that Rusty has returned, like a dog to his vomit, to his attacks on me. 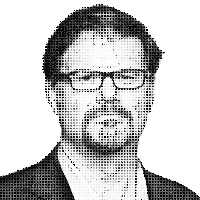 If you recall, Rusty wrote a dumb review of my book a while back which began with the declaration: “Jonah Goldberg exemplifies the decadence and dysfunction of today’s public discourse.” For reasons I explained here, I thought this was impressively stupid, revealing the decadence and dysfunction in Reno’s Rusty-thinking. In his latest effort, he puts the decadence and dysfunction on display yet again. But he also says some interesting things, and if you’ll forgive the self-congratulatory tone, they’re interesting because they track an argument I make at great length in my book. He argues that elites haven’t held up their end with regard to the rest of America. This is not a new argument, of course. It can be traced from Joseph Schumpeter to James Burnham to Irving Kristol and Christopher Lasch to Charles Murray in his prophetic Coming Apart. As I discussed here last week in the context of Tucker Carlson’s jeremiad, I have no problem criticizing elites, but I think people are focusing mostly on the wrong elites. My disagreement with Reno — aside from all the snide nonsense and bad faith — is the same problem I have with all of these arguments for centralizing power in Washington to “bring the country together” or some similar treacle. Which brings me back to David French’s comments and Reno’s little project. There’s an old joke about how the best form of government is the “good Czar.” The problem is that if you create a system dependent on the wisdom of a good Czar, you leave society defenseless against the rise to power of a bad Czar. This insight, perhaps more than any other, is at the heart of the American political system envisioned by the founders. If men were angels, we wouldn’t need government, and if you could guarantee that every Czar is an angel, you wouldn’t need democracy, checks and balances, or divided government of any kind, either. The founders were acutely aware of this, which is why they opposed an established church like the Church of England. They saw how minority faiths had been persecuted in the name of national solidarity. The exhaustion after the religious wars of Europe minted the right to be wrong in the eyes of the majority or the state. In other words, they championed pluralism. As Ben Sasse writes in Them, we should all see ourselves as members of minorities. Madison encouraged everyone to conceive of themselves as creedal minorities. Assume that if you believe anything important or hold anything dear, it will not always align with majority opinion. Wise republicans (small-“r” republicans) — by which he meant all citizens of this new experiment in liberty, who had just observed a century-plus of religious war in Europe — should be aiming to preserve space for peaceful argument and thoughtful dissent. Government isn’t in the business of setting down ultimate truths. It doesn’t decide who’s saved and who’s damned. Government is merely a tool to preserve order, to preserve space for free minds to wrestle with the big questions. Government is not the center of life but the framework that enables rich lives to be lived in the true centers of freedom and love: houses and communities. The founders, especially James Madison, understood that the kind of national solidarity Reno desires and Rousseau celebrated is not scalable for a large, diverse, ultimately continent-spanning nation — at least not while preserving liberty. Even Rousseau thought his (largely totalitarian) conception of the General Will could not work on a polity larger than his beloved Geneva. The way to prevent tyrannical invasions into the liberties of others was to divide power, not just between the three branches of government, but between the central government and the states and smaller jurisdictions. Each state has divided government, as do most cities and even towns and counties. And it’s not just state power. Institutions, starting with organized religion, must be given substantial immunity to interference by the state – at any level. But wait a minute. By Goldberg’s account, we’ve gotten to the Miracle by trial and error. It’s taken thousands of generations of experimentation. Thus, the Miracle, too, has been arrived at by “the very definition of the authoritarian method.” In other words, the liberal miracle is in the upshot of a crypto-fascist approach. This explains why Suicide of the West is full of denunciations of those who disagree with Goldberg. That’s what ideological authoritarians do. They don’t argue with reason and decency. They pillory, ridicule, and smear. It’s fine if Reno likes the New Deal — progressives of all parties tend to. And it’s certainly true that the New Deal borrowed influences from Catholic social thought, particularly from folks like Father John Ryan (and for a time Father Coughlin). But this is mind-bogglingly dumb, dishonest, or ignorant (or maybe all three). The philosophical pragmatism of the technocratic progressives was the exact opposite of what I talk about in my book, and if he can’t see that, no wonder he gets so much else wrong. But here’s the point. If you want to knock out what remaining safeguards there are against another New Deal, green or otherwise, you should ask yourself: Who will run it? And what will that mean for the things you hold dear? And how long will it be run by the good Czars you like? After all, Obama wanted a new New Deal. How did his administration treat Catholics? How would it treat the schools David French is talking about? I understand that Rusty thinks he’s very persuasive, but count me skeptical that his new corporatist (in the real meaning of the word) New Deal — or whatever he would call the tangible result of his gaseous wish casting — would have a particularly Catholic flavor or would treat Christian schools, charities, adoption agencies, or the Knights of Columbus as full partners in the project. And even if this ridiculous pipe dream were to come to be, how corrupting would it be of those institutions in the long run? The very thing that has corrupted the elites Rusty denounces would in all likelihood corrupt the new elites too. How faithful is Catholicism in China today? How much witness did the Russian Orthodox Church bear in the old Soviet Union? Hell, give some religious “leaders” a taste of good radio ratings or a sweet land deal and a little fame these days and you can see how far they stray. Imagine what compromises they might make for the greater good and for the cause of national solidarity when they had real power. Power and status are more seductive than 30 pieces of silver. Rusty bleats a lot about “Conservatism Inc.” as if it were a particularly clever or novel epithet. But oddly he also thinks he’s using it correctly. Here I am invoking the central arguments made by conservative thinkers from the founding until 2016 — including, for most of its history, his own magazine. I am defending the vision of the founders, the insights of Edmund Burke, Adam Smith, Friedrich Hayek, William F. Buckley, and the causes of religious and economic liberty which have made this country one of the most glorious accomplishments in all of human history, and he’s whining about how I’m being mean to the New Deal, which put an immigrant in jail for charging too little for pressing a suit and tried to erase religious practices that did not align with its central planning. That’s not Conservatism Inc. That’s conservatism. American conservatism. Conservatism Inc. these days is the lusting for the power, relevance, and fame we see all around us, and I guess Rusty wants his slice. Canine Update: For the most part, all is great with the beasties. But there was one very bad incident for which we haven’t forgiven Zoë. The Dingo hasn’t gotten into a scrap with another dog for months, and she’s generally been an amazingly good girl about such things. We actually kind of thought we turned the corner. But then, while I was in Florida and my wife was shoveling snow, the Dingo got out of the house off leash at exactly the wrong moment. There are two very nice miniature spaniels on our block, and Zoë hates them with a blinding passion. Out in the park, she’s not territorial, but on our block she’s a member of Hezbollah and every other dog is an Israeli settler. She went after the dogs — who always try to pick fights with her, I should add — and she hurt them in the ensuing tussle. They’re okay now, but they did have to go the vet and we’ve obviously offered to pay the bill and have apologized profusely. Still, we need to revisit our security protocols. These things happen, but we hate it and we take it very seriously. On the lighter side, that same weekend, the Fair Jessica had the dogs on a snow-covered trail along the Potomac. The only other person on the trail was a guy on a mountain bike riding in the snow (I didn’t think this was a thing). The guy said to her “Are those Jonah Goldberg’s dogs? Zoë and Pippa?” My wife thinks he thought she was the dog walker, so she said, “Yeah, those are <sarc> Jonah Goldberg’s </sarc> dogs. I do think that one of the reasons Zoë was bad is that snow definitely brings out the wild side in her (and also the regal side). She doesn’t listen as well to the humans because it’s all so exciting! Pippa’s the same way, but as America’s Most Harmless Dog® it doesn’t really matter, and she always stays near the ball thrower anyway. But man do they love the snow! Pippa doesn’t even mind that no one noticed her new hairdo. The snow is also great because it depletes their batteries at an accelerated rate (once you get them inside). It also just makes them more photogenic. I’ve lost track of how many people said this latest episode of The Remnant podcast was among their favorites. In fairness, I’ve also lost track of how many people have said “Shut up, cucks.” Decide for yourself. Will the shutdown ever end? Nancy Pelosi. . .is. . .right? The return of interbranch conflict?